10 µF - 150V C-SA10-150 Diameter 0.38 in. 10 µF - 150V C-SA10-150 Item Length 0.83 in. 10 µF - 150V C-SA10-150 Packaging Dimensions 4.3 in. x 0.4 in. x 0.4 in. 10 µF - 150V C-SA10-150 Weight 0.006 lbs. 10 µF - 25V C-SA10-25 Diameter 0.26 in. 10 µF - 25V C-SA10-25 Item Length 0.53 in. 10 µF - 25V C-SA10-25 Packaging Dimensions 4 in. x 0.3 in. x 0.3 in. 10 µF - 25V C-SA10-25 Weight 0.002 lbs. 10 µF - 500V C-SA10-500 Diameter 0.76 in. 10 µF - 500V C-SA10-500 Item Length 1.65 in. 10 µF - 500V C-SA10-500 Packaging Dimensions 4 in. x 0.9 in. x 0.9 in. 10 µF - 500V C-SA10-500 Weight 0.025 lbs. 10 µF - 50V C-SA10-50 Diameter 0.26 in. 10 µF - 50V C-SA10-50 Item Length 0.52 in. 10 µF - 50V C-SA10-50 Packaging Dimensions 0.53 in. x 0.258 in. x 0.258 in. 10 µF - 50V C-SA10-50 Weight 0.002 lbs. 100 µF - 100V C-SA100-100 Diameter 0.45 in. 100 µF - 100V C-SA100-100 Item Length 1.53 in. 100 µF - 100V C-SA100-100 Packaging Dimensions 5 in. x 0.5 in. x 0.5 in. 100 µF - 100V C-SA100-100 Weight 0.012 lbs. 100 µF - 350V C-SA100-350 Diameter 1.01 in. 100 µF - 350V C-SA100-350 Item Length 2.63 in. 100 µF - 350V C-SA100-350 Packaging Dimensions 8.5 in. x 1 in. x 1 in. 100 µF - 350V C-SA100-350 Weight 0.067 lbs. 100 µF - 450V C-SA100-450 Diameter 1.26 in. 100 µF - 450V C-SA100-450 Item Length 3.13 in. 100 µF - 450V C-SA100-450 Packaging Dimensions 8.5 in. x 1.3 in. x 1.3 in. 100 µF - 450V C-SA100-450 Weight 0.105 lbs. 16 µF - 475V C-SA16-475 Diameter 0.87 in. 16 µF - 475V C-SA16-475 Item Length 1.66 in. 16 µF - 475V C-SA16-475 Packaging Dimensions 7.5 in. x 0.9 in. x 0.9 in. 16 µF - 475V C-SA16-475 Weight 0.034 lbs. 2 µF - 50V C-SA2-50 Diameter 0.26 in. 2 µF - 50V C-SA2-50 Item Length 0.53 in. 2 µF - 50V C-SA2-50 Packaging Dimensions 4 in. x 0.3 in. x 0.3 in. 2 µF - 50V C-SA2-50 Weight 0.002 lbs. 20 µF - 500V C-SA20-500 Diameter 0.89 in. 20 µF - 500V C-SA20-500 Item Length 2.14 in. 20 µF - 500V C-SA20-500 Packaging Dimensions 8 in. x 0.9 in. x 0.9 in. 20 µF - 500V C-SA20-500 Weight 0.043 lbs. 20 µF - 600V C-SA20-600 Diameter 1.05 in. 20 µF - 600V C-SA20-600 Item Length 3.86 in. 20 µF - 600V C-SA20-600 Packaging Dimensions 9 in. x 1 in. x 1 in. 20 µF - 600V C-SA20-600 Weight 0.102 lbs. 25 µF - 25V C-SA25-25 Diameter 0.26 in. 25 µF - 25V C-SA25-25 Item Length 0.5 in. 25 µF - 25V C-SA25-25 Packaging Dimensions 4 in. x 0.3 in. x 0.3 in. 25 µF - 25V C-SA25-25 Weight 0.002 lbs. 25 µF - 50V C-SA25-50 Diameter 0.27 in. 25 µF - 50V C-SA25-50 Item Length 0.71 in. 25 µF - 50V C-SA25-50 Packaging Dimensions 4.3 in. x 0.3 in. x 0.3 in. 25 µF - 50V C-SA25-50 Weight 0.002 lbs. 250 µF - 25V C-SA250-25 Diameter 0.38 in. 250 µF - 25V C-SA250-25 Item Length 0.97 in. 250 µF - 25V C-SA250-25 Packaging Dimensions 4.3 in. x 0.4 in. x 0.4 in. 250 µF - 25V C-SA250-25 Weight 0.006 lbs. 30 µF - 500V C-SA30-500 Diameter 1.02 in. 30 µF - 500V C-SA30-500 Item Length 1.64 in. 30 µF - 500V C-SA30-500 Packaging Dimensions 7.5 in. x 1.1 in. x 1.1 in. 30 µF - 500V C-SA30-500 Weight 0.042 lbs. 40 µF - 500V C-SA40-500 Diameter 1.01 in. 40 µF - 500V C-SA40-500 Item Length 2.38 in. 40 µF - 500V C-SA40-500 Packaging Dimensions 8 in. x 1 in. x 1 in. 40 µF - 500V C-SA40-500 Weight 0.055 lbs. 5 µF - 50V C-SA5-50 Diameter 0.26 in. 5 µF - 50V C-SA5-50 Item Length 0.54 in. 5 µF - 50V C-SA5-50 Packaging Dimensions 4.3 in. x 0.261 in. x 0.261 in. 5 µF - 50V C-SA5-50 Weight 0.006 lbs. 50 µF - 50V C-SA50-50 Diameter 0.32 in. 50 µF - 50V C-SA50-50 Item Length 0.84 in. 50 µF - 50V C-SA50-50 Packaging Dimensions 4.3 in. x 0.3 in. x 0.3 in. 50 µF - 50V C-SA50-50 Weight 0.003 lbs. 8 µF - 150V C-SA8-150 Diameter 0.39 in. 8 µF - 150V C-SA8-150 Item Length 0.84 in. 8 µF - 150V C-SA8-150 Packaging Dimensions 0.819 in. x 0.819 in. x 0.384 in. 8 µF - 150V C-SA8-150 Weight 0.005 lbs. 8 µF - 450V C-SA8-450 Diameter 0.5 in. 8 µF - 450V C-SA8-450 Item Length 1.76 in. 8 µF - 450V C-SA8-450 Packaging Dimensions 5.3 in. x 0.5 in. x 0.5 in. 8 µF - 450V C-SA8-450 Weight 0.017 lbs. 80 µF - 450V C-SA80-450 Diameter 1.01 in. 80 µF - 450V C-SA80-450 Item Length 2.63 in. 80 µF - 450V C-SA80-450 Packaging Dimensions 8.5 in. x 1 in. x 1 in. 80 µF - 450V C-SA80-450 Weight 0.067 lbs. I have come to depend on the Sprague atom lytics for consistent, reliable caps. As usual, aes delivered right on time with no surprises. Perfect in my Marshall 2204! 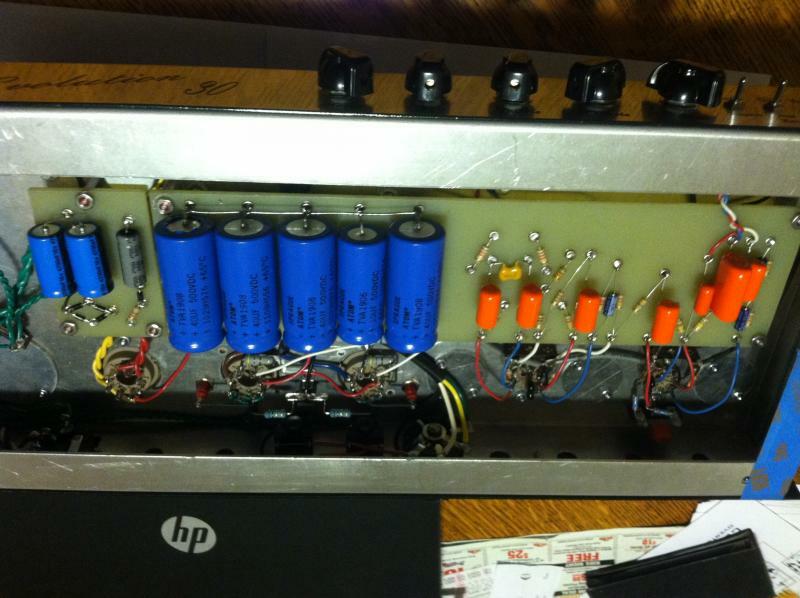 The Atom is the best cap available for this amp. Great caps will buy again. I use them in all my amps. Love the reliability of Sprague caps. Also handy they are axial as they make point to point wiring much easier and neater. They work great and are reasonable in price. and they seem to be off by quite a bit, not sure why? These are the best. If they won't physically fit, I get the F&T's, but these are always my first choice. Asked by Anonymous on January 1st, 2016. The Sprague Atom or F&T brand electrolytics are favorites of many customers for their high quality. Asked by Anonymous on October 19th, 2016. 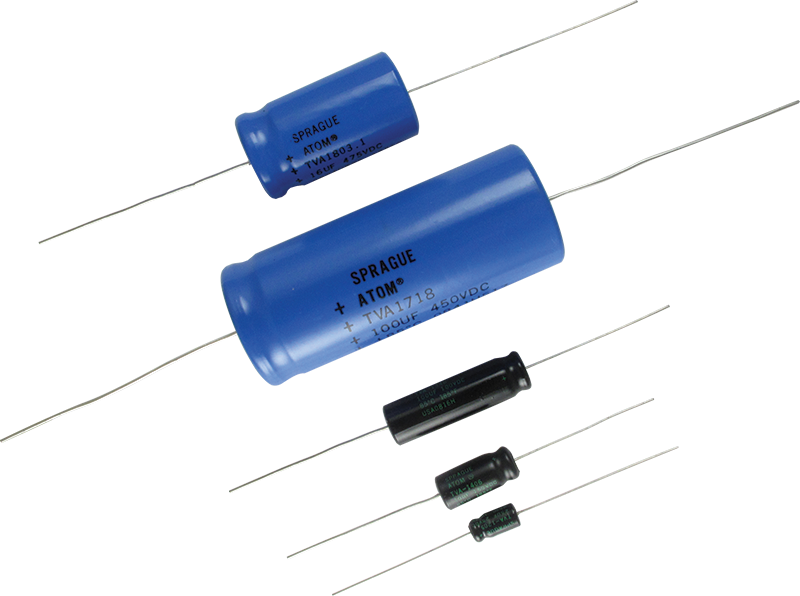 The closest Sprague we have is 30µF at 500V SKU# C-SA30-500. We have a generic cap that is 22µF at 350V. SKU: C-ET22-350. Asked by Anonymous on April 7th, 2017. Caps can be tested by using a multimeter. Also, you could reference a schematic if one is available. Asked by Anonymous on April 13th, 2017. 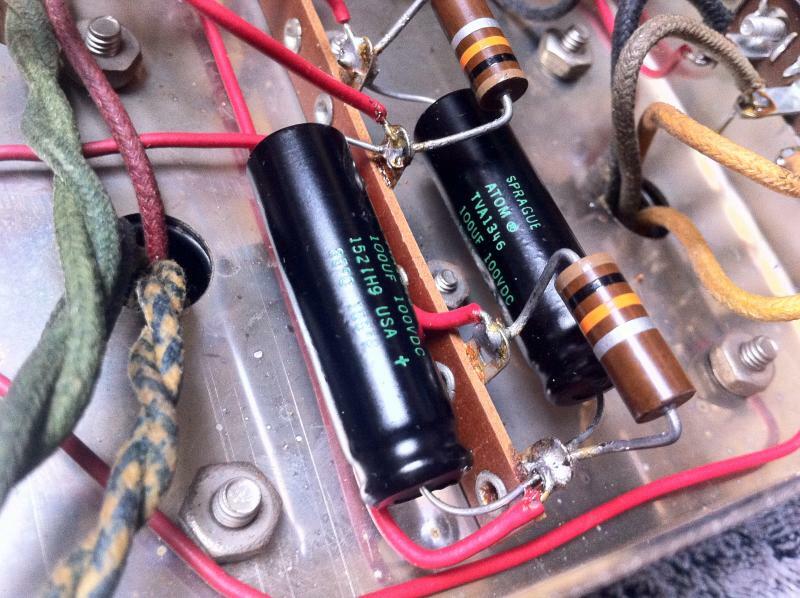 Hi these are new production capacitors and are made in the US. Asked by Anonymous on June 14th, 2017. 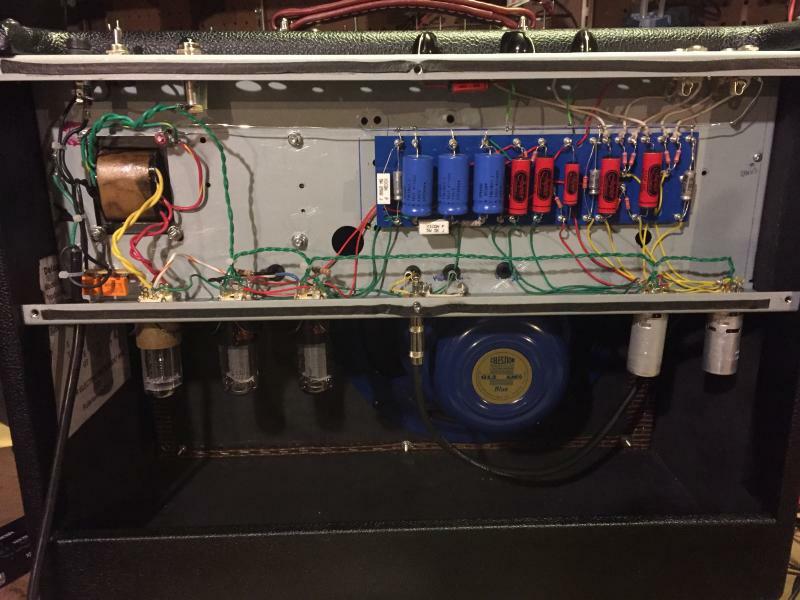 You typically want to change your electrolytic caps every 10 years. 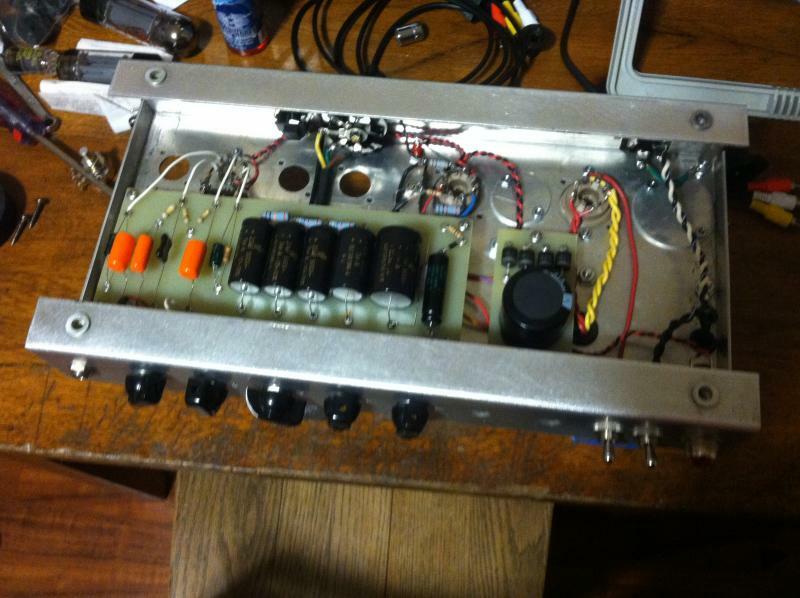 It is like an oil change for your amp. I would not worry about the other caps and only replace them if they fail. Asked by Anonymous on October 27th, 2017. This is something we do not have in an electrolytic cap. Asked by Anonymous on November 10th, 2017. We do not have a Sprague Atom with that value. Do a search for SKU: C-ET47-350. Asked by Anonymous on February 5th, 2018. This is something that we currently do not carry. Asked by richz0396 on May 3rd, 2018. These are polarized and will work in any situation that calls for an electrolytic cap. Asked by Anonymous on October 16th, 2018. Unfortunately, we do not carry a can cap that has those values and we do not carry a capacitor that is rated as high as 1,000 uf at this time. We are unaware of a source for a can cap with these values. Asked by jbmoore on November 12th, 2018. The C-SA50-50 would be safe to use. It goes higher in voltage, which is safe to do, but you will want to verify that the physical dimensions will allow the size of this cap comfortably.